When you’re ready to scratch that creative itch, it can be hard to decide which course to pursue. One quick Google search and you’ll quickly realise there are so many options and finding that right art course can be overwhelming. Here are four ideas to help you narrow down the search for your next creative obsession. Drawing may be an instinct we are all born with, but no one is born with a pencil in their hand. Like any other skill, drawing can be taught and mastered with practice. For many artists and designers, drawing is the foundation of their work, which makes drawing an ideal introduction to an arts course. Drawing will teach you principles of line, tone, shading and proportion that is relevant to fashion, design and painting projects. 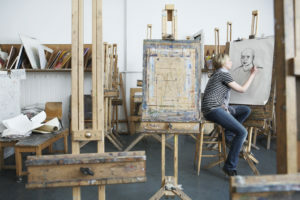 You will also gain the ability to practise your own unique drawing style by exploring your personal approach to drawing and the kind of drawings attractive to you. If you’re thinking about taking up drawing as a hobby or skill, an illustration course might be the next progressive step. Illustration is the process of creating a visual representation to communicate an idea or message and has many mediums, from picture books and magazines to promotional products and clothing. Painting is the most common art course that comes to mind and it encompasses a variety of techniques, media and styles. From the soft feel of watercolour painting to the depth of colour in oil painting, through to the various styles such as Impressionism to Abstract, finding the right painting course can be a challenge. The first thing to do is to look up the media and styles of painting you’re drawn to and narrow down your list from there. If you are unsure of the style of painting you want to pursue, the initial step could be taking an introduction or beginners painting course. A lot of introduction and foundation courses are designed to sample some of the major styles and techniques, and will allow you to explore what works best for you. If you want to give into a unique painting course that moves away from the canvas, Chinese painting is considered one of the oldest continuous artistic traditions and is renowned for its delicate and graceful brush stokes depicting natural landscapes and animals. The art form shares many technical similarities with calligraphy, both emphasising the use of paper and black ink. 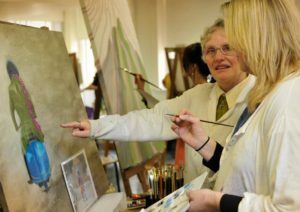 If you’re attracted to the canvas and looking for a traditional arts course that has many variations and styles, a painting course may be the way to go. When you think of an arts course, jewellery making might not be the first to come to mind, but it shouldn’t be dismissed. When we think of jewellery, we often relate it to contemporary fashion or as a traditional status symbol. In recent years, jewellery has been challenging the traditional concepts of art and has established a foothold in museums and galleries around the world. The process of creating hand-made jewellery from the design process to polishing the final piece, involves artistic decisions at every stage. While traditional art favours the canvas, jewellery is a wearable form of art that requires a similar degree of understanding of materials, composition, aesthetics and workmanship. 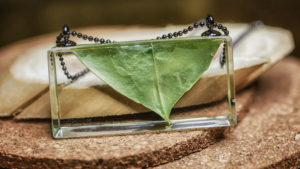 There are also many unique ways to express your creativity in jewellery, from embedding natural or unique materials into works of resin jewellery to forging unique forms and designs using silversmithing techniques. Withthe rise of the smartphone, photography has been part of our everyday life – from Instagram to Facebook, we can’t escape it. If you’re drawn to the photo app on your phone and interested in improving the quality of your photos, then learning about the techniques, tools and types of photography will develop your photographic practices and allow you to discover your individual photographic style and expression. Learning photography as a practice will also expose you to editing techniques to bolster your images using Adobe Lightroom and Photoshop, allowing you to create professional level photos for print and web. 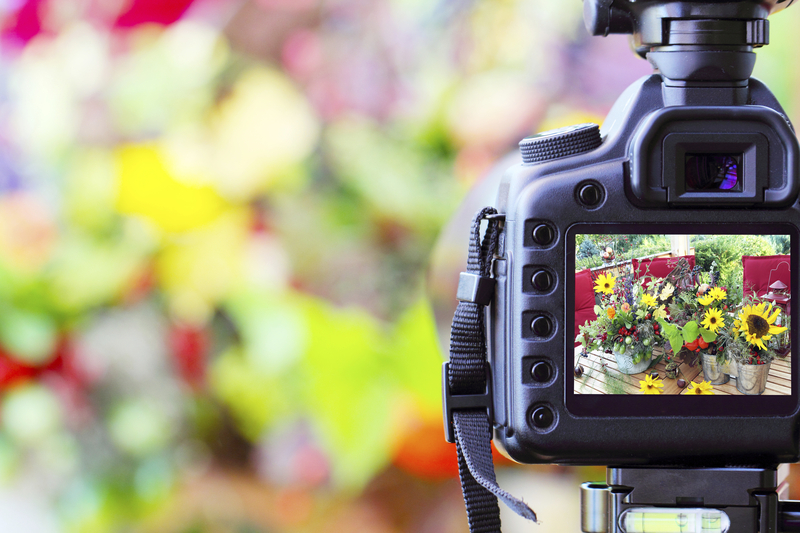 If you are a keen photographer with a desire to explore industry techniques and forms of photography, then a photography course will be the way to go. When you cross-over into other art courses, no knowledge is wasted. The skills in drawing and illustration will give you an advantage when sketching out your jewellery designs or your understanding of natural light in photography will give you a keen eye when working with shadows in your paintings. You might even find ways of blending your art forms, such as using the natural materials in your jewellery designs might find their way onto your canvas. If you’re looking for more ideas for your next arts course, why not check out our range of short courses?